This is great news for Mac owners. 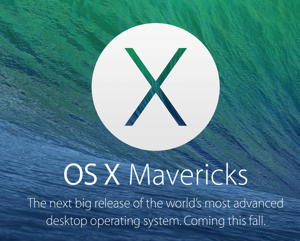 You no longer need to pay for OS X updates, starting today with Mavericks (OS X 10.9). This is also great news for people like me, running small software companies, as customers of our software will be much more likely to keep up-to-date with the latest OS X. That means less support, and more time for improving our software. 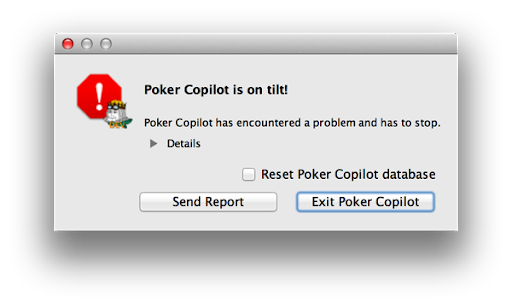 Poker Copilot works with Mavericks, although you’ll need to agree to OS X’s ominous-sounding request to let Poker Copilot “control your computer”. This, in the context of Poker Copilot, means, “keep track of where online poker room windows are on the screen”. Okay, I’m off to install Mavericks on my MacBook Pro. 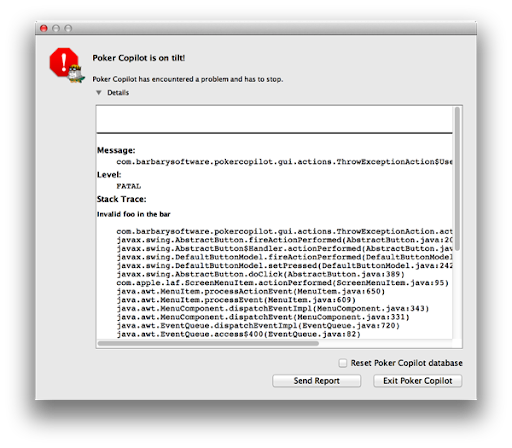 I’ve prepared an unofficial, not-scheduled-for-full-release update of Poker Copilot that adds Omaha support. It goes by the name version number 4.12 and you can download it here. You need to turn on Omaha support by going to Poker Copilot’s Preferences -> General -> Enable Omaha support and making sure it is checked. Omaha support only currently works with PokerStars. Omaha High is supported; Omaha Hi-Lo is not supported yet. You can use Omaha in Poker Copilot for free until the end of November. After that you’ll need to make a purchase to continue to have Omaha support.